When my mind feels there is no where to go, smeared with the white noise of life, a vision often appears. A bright square as big as a postage stamp wakes inside. Penny’s face a flicker n zap, shaking up dormant parts of me. A static stimulus of words and colour. A black beauty screaming in an isolation tank of perfect originality. An artist so stripped bare, she becomes invisible so she can slip inside you and play with your guts. She thinks she is her parents ‘costly heartbreaking disappointment’, but those who can’t get enough of her approach, her creativity, know that we will never stop looking. Her tagline of self knowing “i am in the ludicrous position, do you like it or absolutely adore it?” always at the forefront of our response, for me, it usually is the latter. 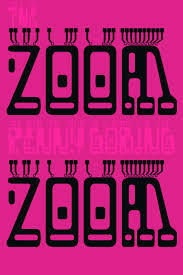 Penny Goring is a London artist. I knew that about her first. I was immediately captured by her digital strokes, her movement. It wasn’t until I started following her closely that I discovered her larger pieces of writing. Who knew she had a book? Several in fact. I have started with the Zoom Zoom. Not one for the heavy self promote, Penny seems to want you to find her, an almost shy gentleness that sits side by side with her imperviousness. The art in her words shaped to tell her stories is as colourful, evocative and fierce as her visual work, lit with even more taboo, unease, humour and beauty. 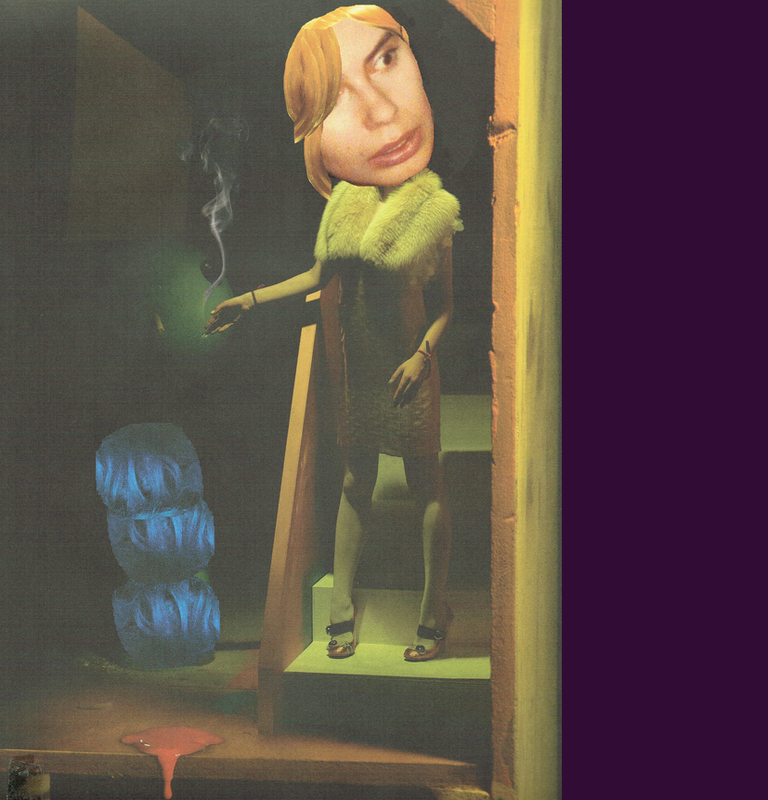 A story only she could have been inside of. It’s a froopy dark ride dripping in trip. Penny is honest and fearless. Sad threads bind the tapestry of poems, a beautiful ugliness weaves inside the rug you get to ride on. The Zoom Zoom is not a new release, but it will remain on it’s electronic shelf fresh as forever, hopefully waiting to be snapped by eyes and minds more adept at expressing what a powerful piece of literature this is.